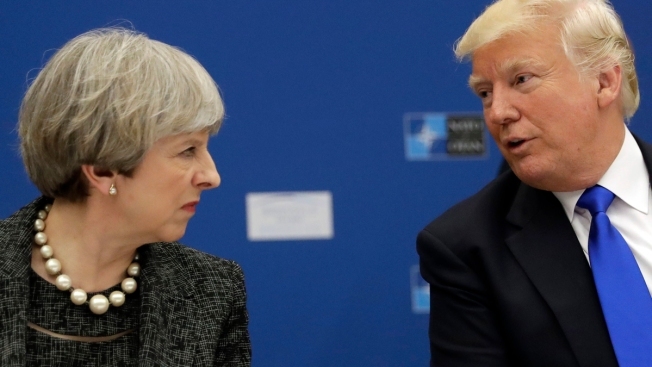 In this May 25, 2017, file photo, U.S. President Donald Trump speaks to British Prime Minister Theresa May during in a working dinner meeting at the NATO headquarters during a NATO summit. NATO Secretary-General Jens Stoltenberg says U.S. President Donald Trump will meet with his counterparts from the military alliance at a summit in London in December. He thanked the British government for hosting the meeting, which falls during NATO's 70th anniversary year. No exact date was given.